I would like to express my confidential interest in the position of Civil Liberties & Privacy Officer. A position “focused on the future” sounds simply perfect for me right now. Like the NSA, I too want to focus on the future, yet not give up a single thing I’ve learned along the way, especially the things I know from doing certain things in the past. The job description says you seek someone capable of “leading change”. I just know I can be the agent of change that puts the public’s fear about privacy and civil liberties behind them. Applicants must “seek and speak the truth”. Finally, someone can know (maybe you already know?) all the things I’ve done my lawyer advised me not to put on my resume. In fact, it feels really great to finally get a few things off my chest. As requested, I offer these “brief narratives” as proof I meet the “Executive Core Qualifications”. You want someone that “questions conventional approaches”. At my first job in corporate security, managers simply believed employees if they called in sick. To overcome this “unexpected obstacle” I created a colleague stakeout and surveillance program that led to an 87% illness verification rate. Even better, managers finally trusted employees after firing the lying 13%. I’ve since logged 96% illness verification rates via a tracking program triangulating mobile GPS and social media data with coordinates of leisure locales, medical facilities and employee addresses. That sure sounds like the kind of “creativity and innovation” you say the NSA needs today. You want someone to “redress complaints from individuals who raise CL/P concerns”. I think I understand what you mean by redress. At a multi-billion dollar Silicon Valley IT firm, I rolled out an intranet filtering program to “redress” complaints about sexism from ever even getting to the HR office. Instead, complaints went directly to the all-male senior management team. With this kind of “decision-making” experience, I have a few ideas about how to direct “all significant Civil Liberties/Privacy issues arising from NSA activities” to higher-ups before they ever get to the likes of Glenn Greenwald again. Now about that baking metaphor, I have a few BIG IDEAS that could transform the public’s perception of privacy and civil liberties even better than your acronym CL/P. Baking in protections is just the start, but let’s start here: Yeast = Privacy and Bread = Security. You can’t get bread without yeast, but you don’t get bread unless the yeast is transformed (well, actually the heat of baking kills it) into something else entirely. It’s all about change! In closing, I agree it is time for the NSA to focus on the future, not the past. Let’s change the future of privacy and civil liberties together! P.S. Another BIG IDEA: Why constrain ourselves with a single definition of CL/P? Acronyms = abstraction, the first step to transformation and change. What about CL/P = Citizenship Loyalty and Protection? That’s just off the top of my head. I’ll bring more ideas and my Baking = Security PowerPoint to the interview! Mya Frazier is a graduate student in the Department of Geography at Ohio State University (frazier.270@osu.edu). You can read her previous AntipodeFoundation.org post here. 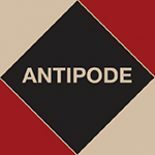 This entry was posted on 29 October 2013 by Antipode Editorial Office in Other and tagged Civil Liberties & Privacy Officer, Civil Liberties and Privacy, CL/P, CLPO, Glenn Greenwald, National Security Agency, NSA, security, surveillance, the state.